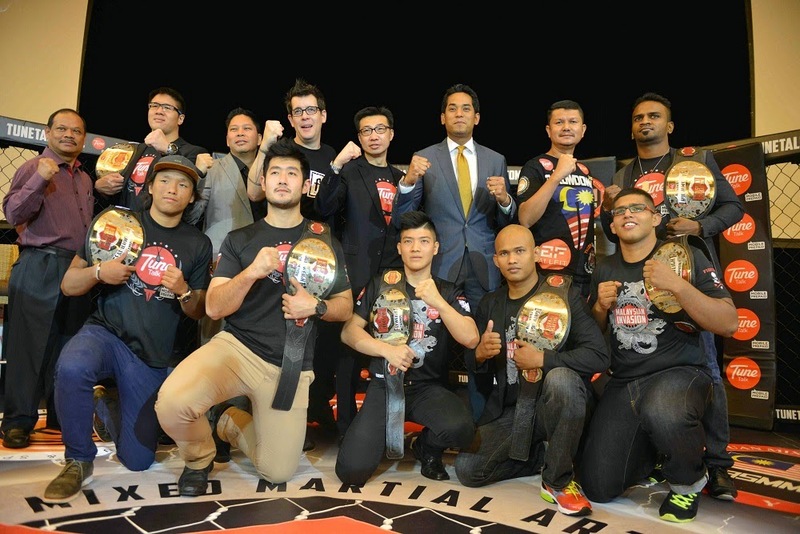 Tune Talk’s Malaysian Invasion Mixed Martial Arts (MIMMA) Fighting Championship is back after two successful seasons and this time, it seems that the nation’s biggest amateur MMA tournament will be getting even bigger. Announced yesterday (16 Feb.) at the press conference in KL, MIMMA3 will be introducing a Female Catchweight Division (48kg – 56.7kg) and a Foreign Pride Catchweight Division (61.2kg – 70.3kg). This means that girls and non-Malaysians can now participate as well! As can be seen on MalaysianInvasion.com, the countdown to the tryouts has begun although it may not be accurate for now as I highly doubt the tryout would start at 3 o’clock in the morning. Fighters who think they could go all the way and dethrone the reigning MIMMA champions for the respective title belts and win cash prize of over RM150,000, they can now register online at the website. The nationwide tryouts will once again be held in 5 states – Johor, Penang, Sabah, Sarawak and finally, Selangor. In season 2, all MIMMA episodes were broadcast online and was watched by over half a million fans apparently. In this new season, MIMMA will also be aired on RTM TV1, which would enable the sport to reach out to, and to be appreciated by, fans all around Malaysia including many rural areas that do not have access to internet or Astro Pay TV. That’s actually not all. Tune Talk will also be organising Mixed Martial A’RRRR! : Terror on the High Seas, which will be the first fighting event held on a cruise ship in international waters. Unconventional it may be but hell, that idea sounds freaking cool! People fighting in the cage on a ship, that’s like a scene from action movies that I never thought I’d ever see happening here. The 4-day-3 night (Penang – Phuket – Krabi – Penang) MMA cruise crossover will start from the 31st of May until 3rd of June 2015. It could well be the dream vacation for MMA fans.